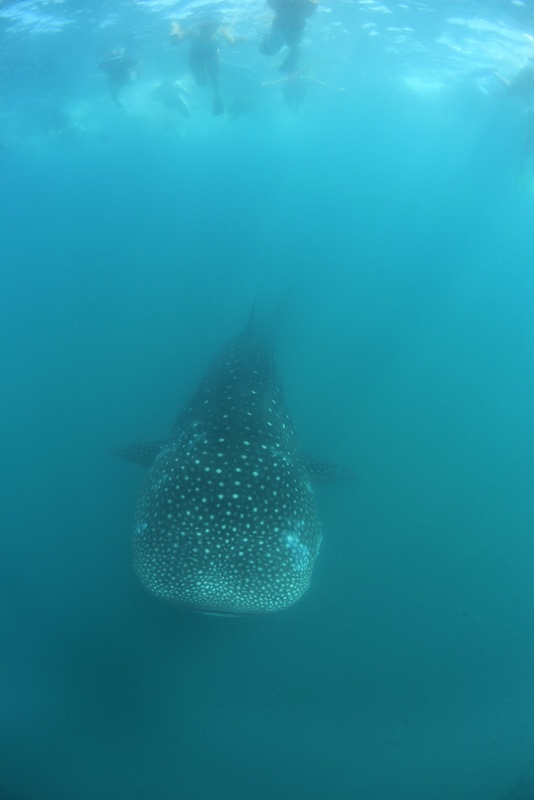 The monitoring boat found one whale shark. Some people saw whale shark, but others couldnt see whale shark. The whale shark go down to deep water quickly when people swam to him.